For many students in the United States, the federal Stafford Loan is the basic loan that helps them finance their education. Stafford loans are available for both undergraduate and graduate school programs, and you can borrow a significant amount of money if you fulfil the requirements. As a part of the application process for a Stafford loan, you must fill out and send in a Free Application for Federal Student Aid (FAFSA) form. This form is used for both subsidized and unsubsidised Stafford loans. The form is forwarded to your school, and they will contact you to let you know what kind of loan solutions you are eligible for. Applying for the loan isn’t the same as accepting the loan. When you have received information from your school about you eligibility, you are free to accept or decline. 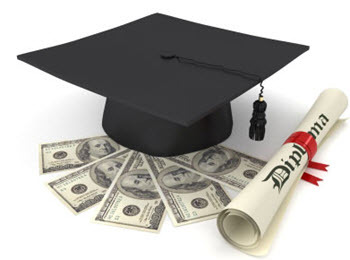 If you accept a Stafford loan, you show you acceptance by signing a master promissory note. No funds are disbursed until you have signed that note. Are you still considered a dependent of your parents or not? What year in school are you borrowing for? At the time of writing, this is what the upper limits look like for Stafford loans. A dependent student who wasn’t able to secure a PLUS loan for additional funds is allowed to borrow the same amount of money as a non-dependent student. There is a lifetime cap on Stafford loans. You can not borrow more than 138,500 USD during your lifetime, regardless of how many years you spend in school. A Stafford loan can be subsidized or unsubsidised. The requirements for receiving a subsidized loan are stricter than for an unsubsidised loan. If your loan is subsidized, the Federal government pays the interest on the loan while you are still in school. This means that no interest will increase the size of the principal while you are still in school. If your loan is unsubsidised, it will accrue interest right from the start, and this interest will be added to your principal. You don’t have to make payments until you leave school, but the accrued interest will increase the principal during your time in school. How large can the subsidized loan be? A subsidized loan for graduate school is never larger than the upper limit for dependent students (see above). If you are a non-dependent student and elect to borrow more than this, that part of the loan will be unsubsidised. Example: You are borrowing money for your freshman year in school. You are a non-dependent student. You can borrow 3,500 USD in the form of a subsidized loan and an additional 4,000 USD in the form of an unsubsidised loan. For graduate school or professional degree, you can receive a maximum of 8,500 USD per year in the form of a subsidized loan. The remaining 12,000 USD will be an unsubsidised loan. The interest rates for Stafford loans vary depending on the year when the loan was issued. A subsidized undergraduate loan issued in 2010-2011 did for instance come with a 4.50% interest rate, while a subsidized undergraduate loan issued in 2011-2012 carried the lower 3.40% interest rate. It is therefore important that you seek out current information when you calculate the potential cost of using a Stafford loan to pay you way through school. In addition to the interest you your loan, you must also pay a loan fee. This fee is partially deducted from each disbursement check. You start repaying your Stafford loan six months after you leave school by graduating or dropping below half-time status (this includes dropping out completely). 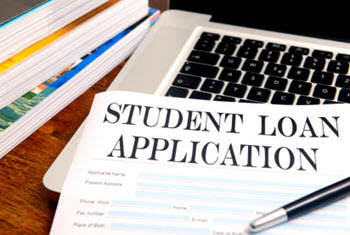 During the six months between leaving school and starting the repayment plan, interest will accrue for unsubsidised loans but will not be added to subsidized loans. Repaying the loan in 10 years by doing a series of repayments of identical size. Repaying the loan in 10 years by starting out with a small repayment and then gradually increase the size of each repayment. If your loan exceeds 30,000 USD you can pay it off in 25 years, using identical-size or increasing-size repayments.